With the recent passing of “The Greatest”—aka, Muhammad Ali, on June 3, 2016, the world seems to have taken an interest in all things Ali. For example, people want to know who Ali was before he became Ali, what shaped him, and how he morphed from a despised African American Muslim to a hero who became one of the greatest icons of the twentieth century. 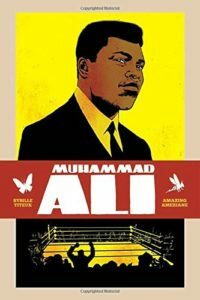 Thankfully, Dark Horse Comics is releasing a timely and sweeping graphic novel called Muhammad Ali, by author Sybille Titeux, that is the complete birth to death story of the life and times of Muhammad Ali, told in rich and moving illustrations that give the illusion of being right in the middle of the action. 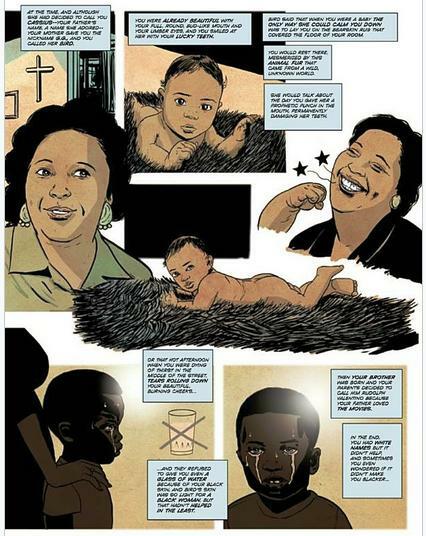 The book opens with an illustration of Ali’s parents’ humble Louisville, Kentucky home, and then moves to the almost haunting illustrations of a young and quite miserable Ali with tears streaming down his face because he is walking down a sweltering street with his mother but is denied even a tiny cup of water because he is “colored.” There are dark and shadowy illustrations of momentous events like the murder of 14-year old Emmett Till, and there is even a graphic reenactment (complete with hanging body) of the haunting song, Strange Fruit, by Billie Holiday. Though Ali did not personally witness such events, they are included to show what everyday life was like for African Americans living during the Jim Crow days. As young Ali’s life unfolds, readers learn that he trained everyday and never went out on dates; that he won 161 of 167 boxing bouts by age 18 and became known as “King of the Streets”; and that he earned the right to attend the Olympics, where he won the Gold Medal in boxing. But readers also glean curious tidbits about Ali’s life, like how he was so afraid to fly to Paris to his first Olympics that he wore a parachute in case the plane crashed; how he initially wore his beloved gold medal everywhere, but when a white restaurant refused to serve him because he was black, he tossed the medal into the Ohio River. Author Sybille Titeux has managed to stuff this spell-binding graphic novel with rich history about America and surprisingly meticulous details about Ali, including how boxer Sugar Ray Robinson refused to mentor Ali when he decided to turn pro; how Ali encountered the Nation of Islam and why he decided to join; and how Ali became a Civil Rights activist who was eventually beloved by the entire world. The illustrations by artist Amazing Ameziane are a keepsake all their own, capturing facial expressions, frenzied crowds, and even sweat and blood droplets that spray through the air each time a boxer’s glove connects with a vulnerable jaw. There is an interesting and much appreciated illustration of Ali’s boxing technique, and even a blow-by-blow illustration of Ali’s fight with Sonny Liston. There are also details and illustrations about Ali’s latter years when he was diagnosed with Parkinson’s and experienced a steady decline in health. In fact, there are so many details that they cannot all be told in this one review. Quibbles: Despite the fact that this Dark Horse graphic novel seems destined to become a fan favorite, the book does have a few minor problems that must, in all fairness, be disclosed. 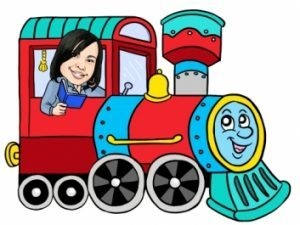 First, the text is extra-tiny and may detract from the reader’s enjoyment, simply because the reader must resort to squinting or using a magnifying glass to see the words clearly. Second, the pages are unnumbered. Although this is not a deal-breaker, it must be acknowledged that numbered pages are super-handy as a point of reference for readers (and book reviewers) when they are providing feedback about the story they’ve just read. And last, the story line unfolds in “real time” and seemingly attempts to cover every aspect of Ali’s life and every single event, mindset and social movement that was happening as his life unfolded. While this type of meticulous detail is a researcher’s or history lover’s dream, it can be exhausting for readers who just want Ali’s story and nothing more. These quibbles aside, Muhammad Ali by Sybille Titeux is an excellent addition to any upper elementary, middle school or high school classroom or library. 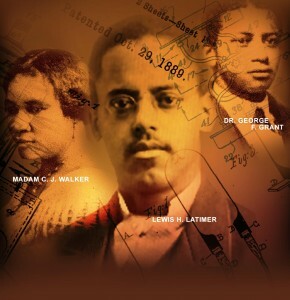 It’s also great for lovers of American history, African American history, and boxing as a sport or past time.